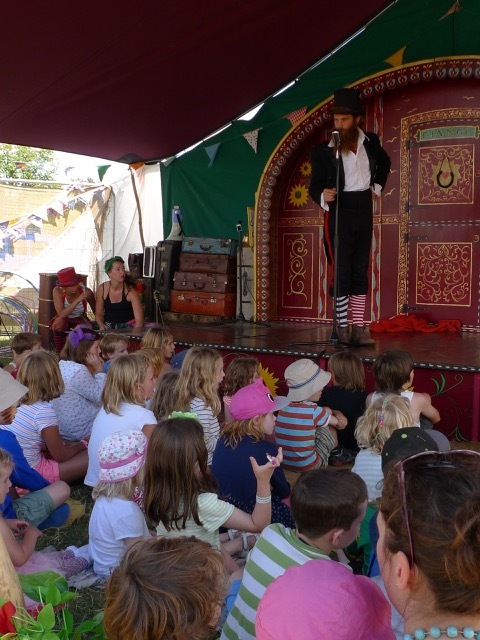 I’m looking forward to appearing at three festivals in October. I’ve never been to any of them before, but judging by their programmes, they all sound wonderful. 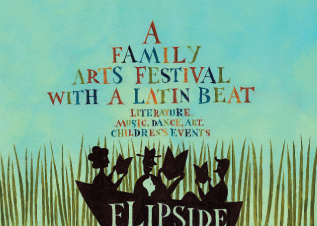 The first is Flipside on 3 and 4 October in Snape Maltings, near Aldeburgh in Suffolk. 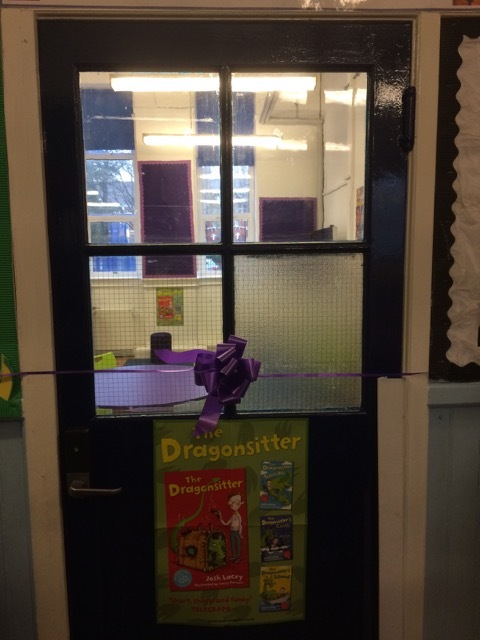 Among the other children’s writers there are Chris Priestley, Emily Gravett, and James Dawson. 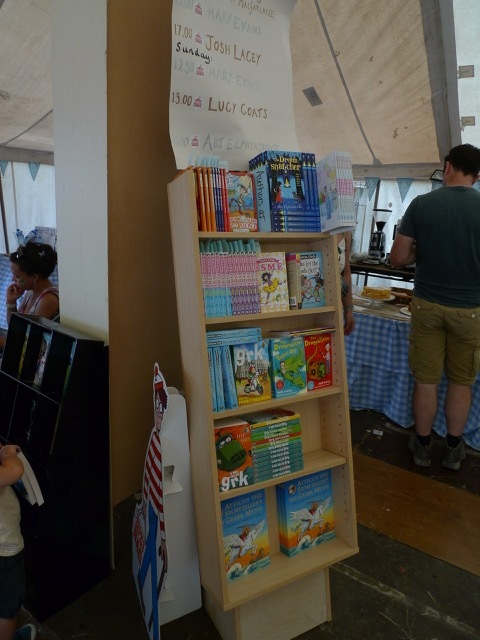 Next comes the Wimbledon Bookfest. I’m going to be there on Thursday 8 October as part of the schools programme. And thirdly is the Hungerford Literary Festival, where I’ll be speaking on Saturday 17 October. 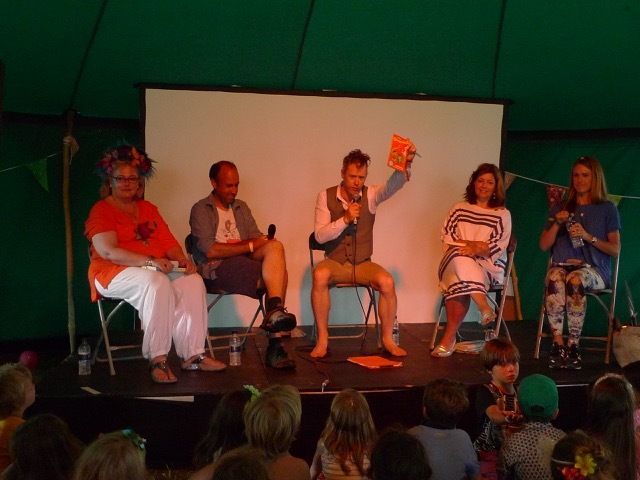 Earlier this August, I was one of several children’s authors performing at the Wilderness Festival. 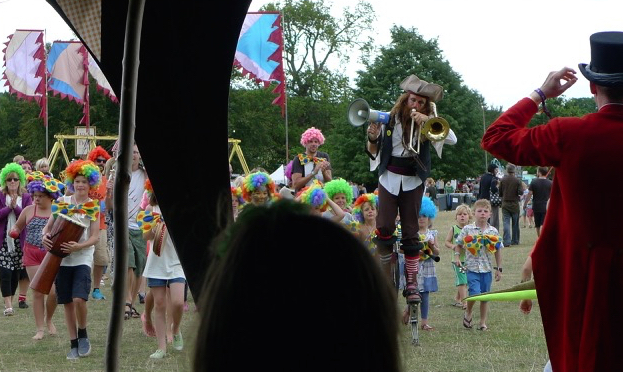 The festival was packed with twenty thousand people sampling everything from Bjork’s tunes to Moro’s lamb cutlets. 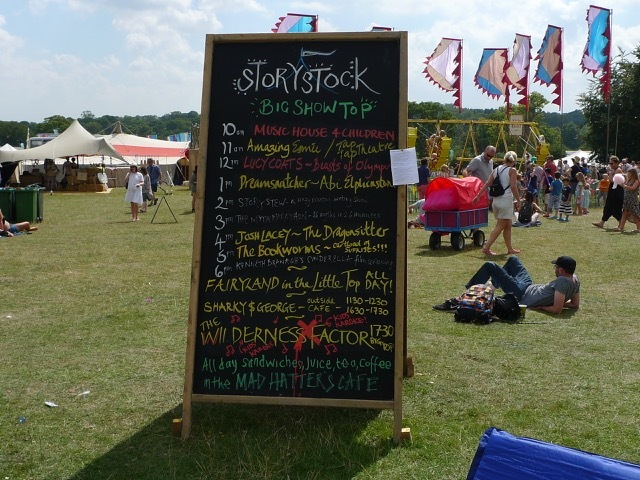 Lucy Coats, Abi Elphinstone, Tamara MacFarlane and I were talking in the children’s area curated by Storystock. 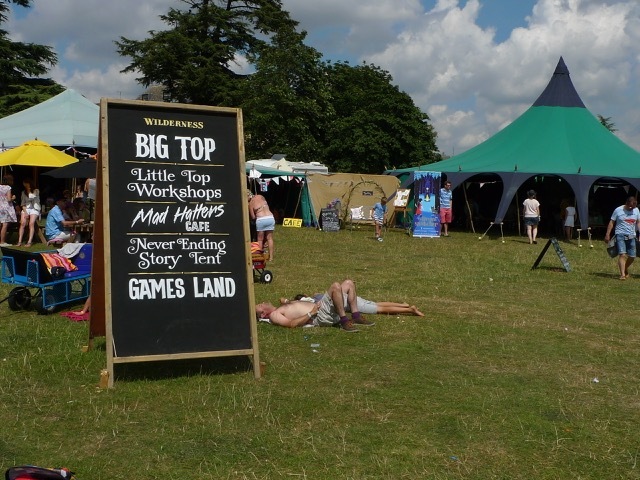 Over the course of the weekend, we each spoke about our books inside the big top, then did a panel discussion together. A few photos below show the Storystock area, full of authors and pirates, and the lovely outpost of the Jaffe and Neale bookshop housed inside its own enormous tent… I wish I’d taken more (and better) photos, but I must have been always too busy eating those delicious lamb cutlets or chasing after my kids, trying to stop them getting completely lost among the other twenty thousand people. I’ve written an article for We Love This Book, a new magazine published by the Bookseller. Here are the first three paragraphs. There comes a moment in every child’s life when they understand that everyone dies: not just pets, or neighbours, or relatives, but even themselves. 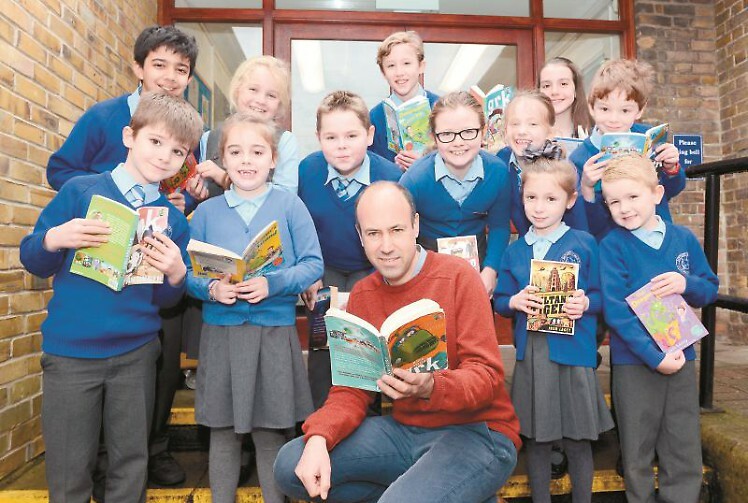 It’s a terrible, terrifying realisation – life is never the same again once you know that you have to die – so it’s no wonder that children’s books are full of death. Without death, many great heroes of children’s literature wouldn’t even have a story to tell. If their mothers and fathers had lived, Harry Potter wouldn’t be banished to 4 Privet Drive, the Baudelaires wouldn’t suffer a series of unfortunate events, Mary Lennox wouldn’t come near the secret garden, and James would never grow a giant peach. But death is much more than a plot device. From a surprisingly young age, most children want to know the answers to questions about death and the afterlife. Why do I have to die? What will happen to me? 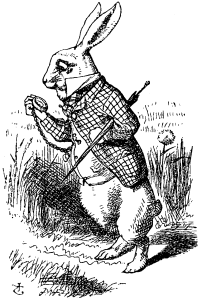 Fiction allows children to articulate the fears and anxieties about mortality that will haunt them for the rest of their lives. You can pick up the magazine in bookshops, or read the whole article on the website.